A theme is an additional computer program that you install in WordPress to create your site. Many people will try to use free themes. I have created sites with them and the work okay. However, I believe you get what you pay for. In my experience, the free themes are harder to figure out and don’t have great support. I would suggest that you buy a theme because you can create a more professional site faster with very little investment. There are a ton of them out there. You can spend anywhere between $25-500 for them. Here are some things to consider when choosing a theme. What should I look for in a theme? 1) Responsive: Make sure that it is created to look good on all your devices. More people are checking out websites on mobile devices than ever before. Make sure you website looks good on them! 3) Featured Slider On Home Page: I think every church website must have a featured slider on the Home page (see and example here). I don’t currently have one on this site because it is a blog. The featured slider is not only eye catching. It also allows you to highlight multiple items on your home page. 4) Drag and Drop: Many themes out there allow you to drag and drop elements onto the page. While this isn’t critical, it definitely makes it easier to layout the page exactly as you want it without knowing any code. 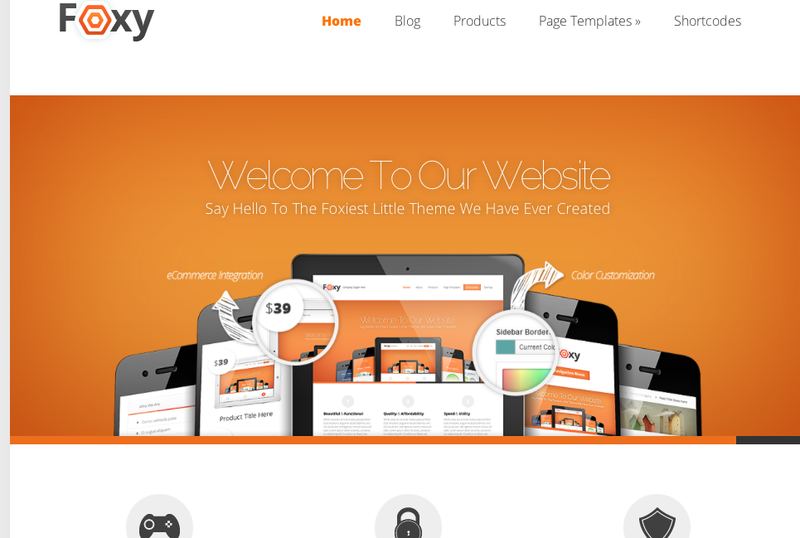 5) Page Templates: Good themes will offer you a variety of different page templates. These templates make creating a page much easier because you don’t have to start from scratch. They have an initial design built in. You just need to put the info or image you want in there. 6) Good Support: While you probably won’t need the support, it is a great benefit to have. 7) SEO Optimization: SEO stands for Search Engine Optimization. Make sure that your theme is compatible with Google, Bing, Etc. What are the different theme options? 1) Single Purchase / Single Update Themes: Some of the cheaper themes don’t automatically update. You purchase the theme and that is all you get. I would avoid them. You may save money in the short term. However, you don’t get automatic updates when bugs are found or when the WordPress platform updates. This can cause your site to crash. 2) Free Lifetime Update Themes: Many good low cost themes today have free lifetime updates as part of their purchase price. This means that you get free updates that you can install when new ones are available. 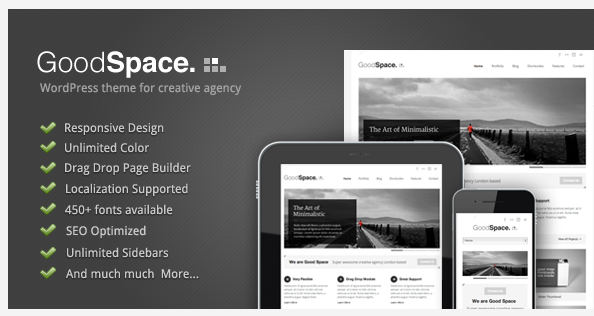 I recommend you find these sites at ThemeForest. This blog was created with a theme in this category made by GoodLayers and I have been very pleased with the quality of the theme. One thing to consider, most of these cheaper lifetime updates only allow you to legally install the theme on only one site. 3) Subscription Based Themes: I have changed my opinion on these. At first, I was totally against them. After all, why pay a yearly fee when you can have a one time fee. 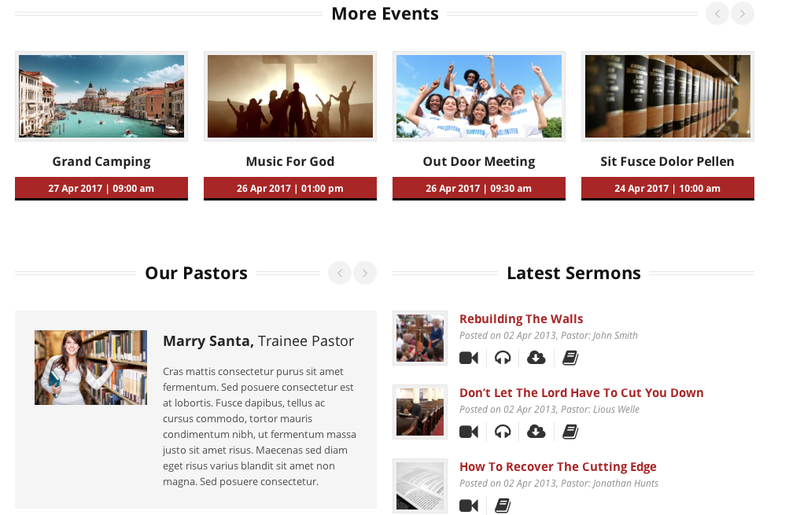 Then I joined Elegant Themes and started to create my church’s site with it. 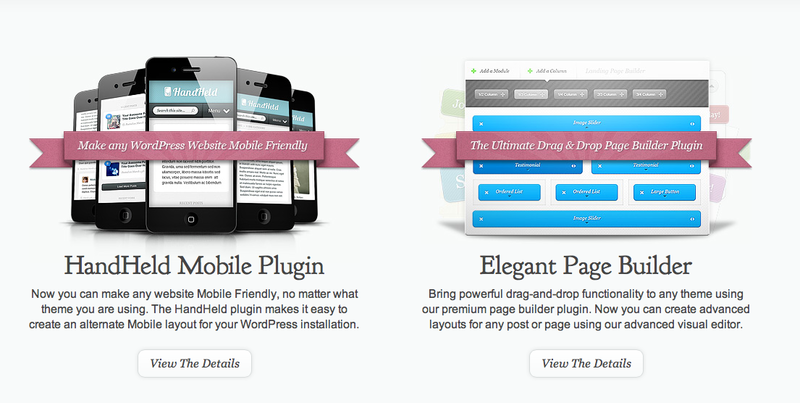 With subscription based themes, you usually get more bang for your buck as far as features go. Plus, you get better support. You can ask any question and someone will usually answer you within a day. Here is another added benefit of the subscription plan. You have over 80 themes to choose from. This means that you can start with one theme and if you don’t like it you can change to another one. You can also use the themes on multiple sites. This is also handy if you have other ministries that need their own site or want to create a special sermon series website, etc. As I stated earlier, I was originally against this notion because it was a recurring yearly payment. I am now a bit believer in Elegant themes. I have created multiple church and business sites with the different elegant themes. What I really like about Elegant Themes is that you have so many themes to choose from because it is subscription based. Rather than buying the ability to load a single theme onto one site. You are paying for the right to download unlimited themes for unlimited sites for a period of time. This is great if you have more than one site (Ex different outreach ministries). This means that you get access to new themes when they come out every couple of months. Since your site is created with the elegant themes system, it is very easy to update your site and give it a new feel with a new theme without much work. I find that elegant themes are the easiest themes to work with once you understand and how their ePanel works. Epanel is basically the system that they have created to customize your site’s colors, look, feel, etc. 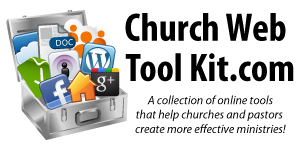 It is also used to dynamically create the home page. 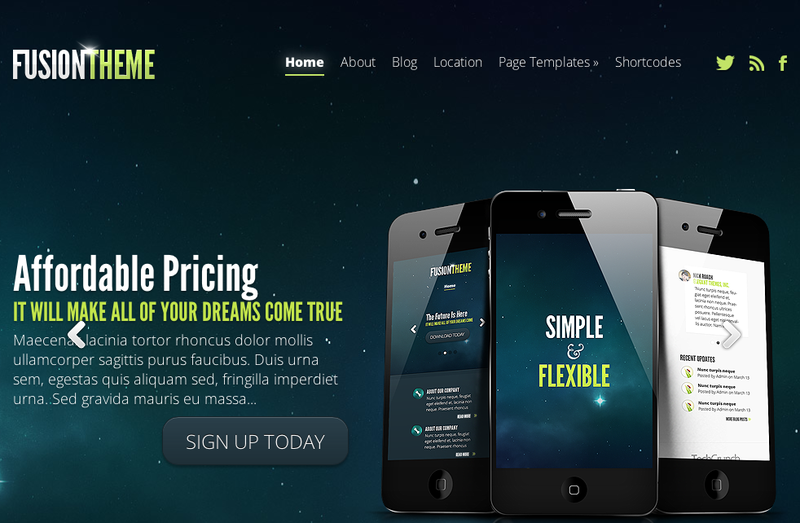 With the other themes, you have to create a home page with an image slider and text boxes. He have to input the data and create all the proper links and make sure it is updated properly. 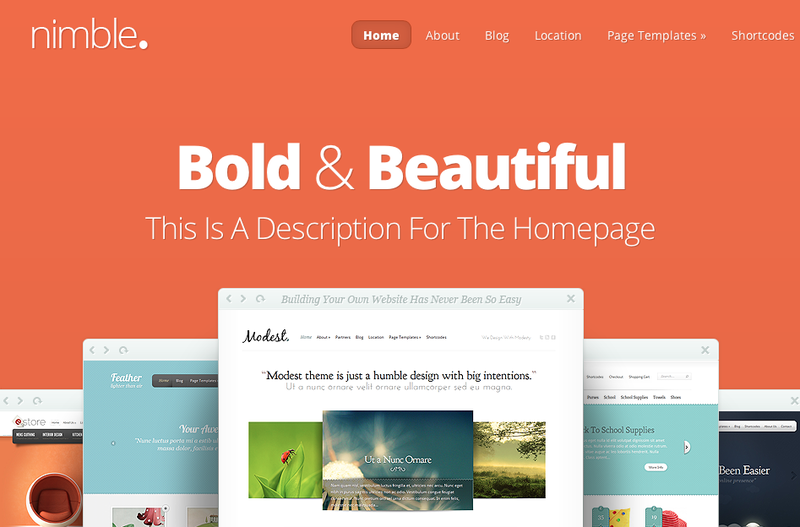 Elegant themes offers a dynamic home page. What that means is the general format of the home page is created by them, the content on the home page is populated (automatically cut an paste) by exerts you enter into the various pages you create. You can choose which page’s information, you want included on the home page. You can also check which pages you want highlighted in the featured slider (revolving images and text) on the home page . Elegant themes automatically creates the page and image links on the home page and updates it when you update page information. This saves a ton of time and energy. All of these themes are responsive so they look great on all devices and very customizable. The best thing about Elegant Themes is their support forum. You can post any question and get a detailed answer posted back in a matter of a few hours or the longest I have waited is a day. If you know html short code, you can get by with the $39 a year subscription. If you don’t, I would recommend upgrading to the $89 developer or the $250 lifetime developer (this is less than some premium themes and you get lifetime access 80+ premium themes) because this gives you the Handheld Mobile Plugin and their ET Builder Drag and Drop plug in. I know it the subscriptions based system may cost more money in the long run, but I found it is definitely worth the investment. For more info, click here to go to Elegant Theme’s site! Good Space by Good Layers. (Click here to learn more) $45. This blog was created with this theme and really like it. I have found it is really easy to use. It is responsive so it will look good on all devices. Colors and backgrounds are also customizable. It is super easy to add image sliders and other features. The best part about Good Layer Themes is the drag and drop page builder. You create a wireframe (outline or grid) of what you want your page to look like. 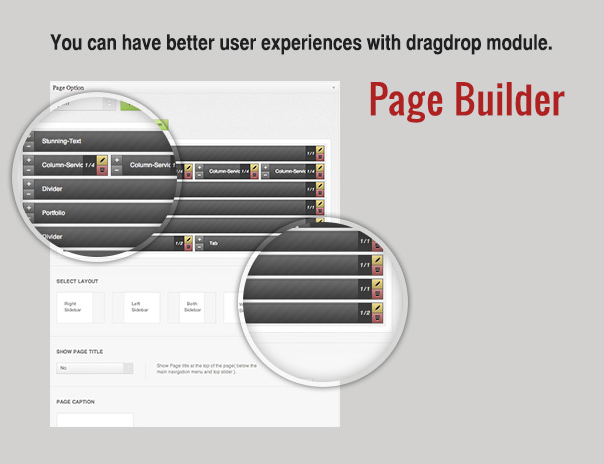 This means that you can easily create a custom looking page without any html knowledge. Real Church by Good Layers (Click here to see it in action): $50 This is a professional looking site geared towards churches. It is designed specifically for churches that use Vimeo or Youtube for their sermons. You can customize the colors and images and is has featured geared towards churches (events, sermons, etc). It is responsive so it will look good on all types of devices. I want to make it clear that I haven’t worked with this particular theme, but the Real Church is based on the same page builder platform as the one I have used in the past. What makes this theme a great one for churches is that it has built in categories for sermons if you use Vimeo or Youtube videos for your sermons. They also have a built in calendar for events and pastor bios. This save you a ton of work!